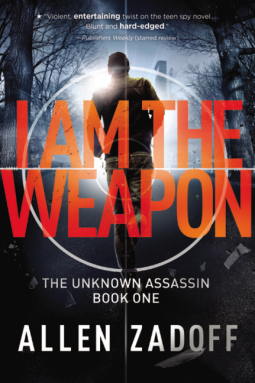 Action-packed thriller.. the entire book was wonderful but once I reached the half way mark I didn’t stop reading, not even to take a quick break, until I was completely finished. I swear I could not read the pages fast enough. Let me not forget to mention that I quite enjoyed the writing style. Straight forward and to the point. It made it to where the reader was able to stay totally engrossed without becoming bored and distracted. Also, this book is really good at showing us how the choices, even the smallest, has an impact on our lives. How everything can change in the blink of a moment. It’s been very interesting and entertaining to say the least, watching each choice the MC makes and how the plot unfolds because of those choices. I definitely recommend this book to pretty much anyone who just enjoys a good read because to be perfectly honest when I first read the blurb I thought to myself well this really isn’t my typical choice but I am very glad that I decided to read it anyway. Very enjoyable read in my personal opinion. 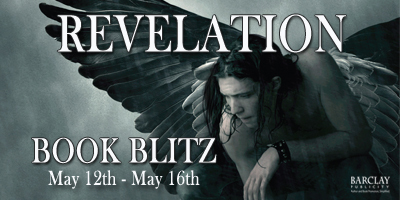 REVELATION, the first novel in the new adult Revelation series by debut author Randi Cooley Wilson, is a journey of self-discovery, love and sacrifice and has been compared to INESCAPABLE by Amy Bartol and HUSH HUSH by Becca Fitzpatrick. If you want to be swept away into a new world with paranormal characters you haven’t read about before then you should snag a copy of REVELATION today! Want to learn more about REVELATION? 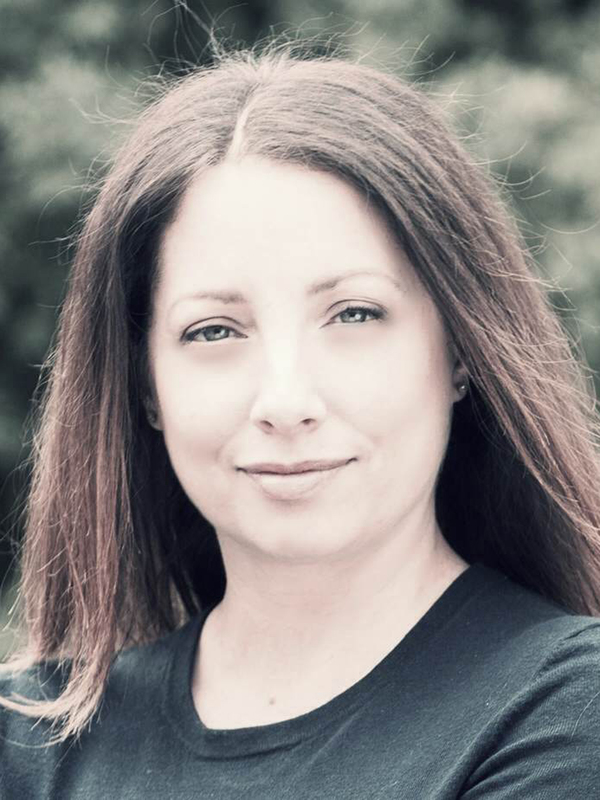 Be sure to check out this exclusive interview with Randi Cooley Wilson! A $25 gift card to Amazon or B&N (winners choice, open internationally), 3 runner up prizes: A signed copy of REVELATION and bookmark (open to US entrants only). A FORBIDDEN LOVE. Eve Collins starts her freshman year at college blissfully unaware that one revelation will challenge everything she’s believed to be true about her family, life, and future, and right in the midst of it all is Asher St. Michael. Mysterious and aloof, Asher is appointed to protect Eve at all costs. Bound by his oath of loyalty to mankind, loving her is forbidden. 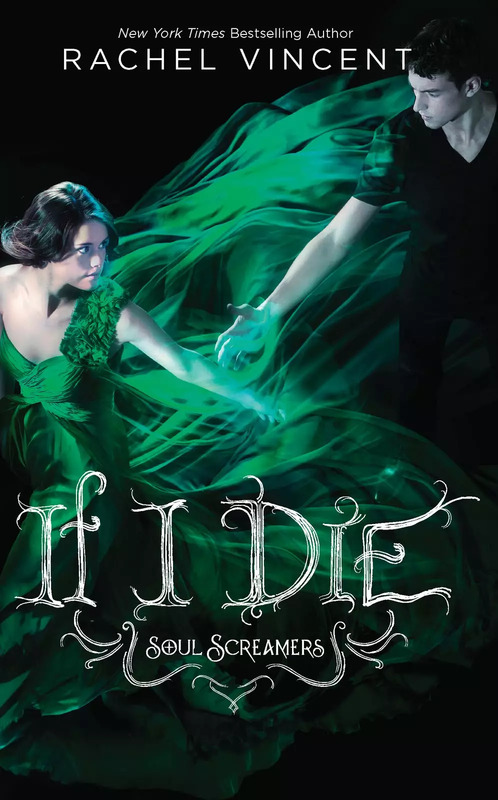 Dark and enigmatic, Gage Gallagher may be even more dangerous to Eve than the demonic army that hunts her. Caught in the middle of a centuries old war, Eve must choose sides knowing that the wrong choice will cost more than just her life. 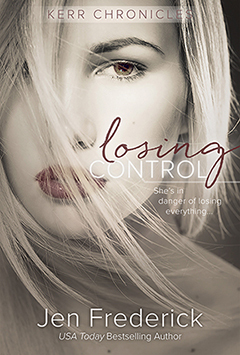 Can Asher and Eve fulfill their destinies or will their love destroy everything? Revelation is a journey of self-discovery, love, and sacrifice. Get your copy at: Amazon | Barnes & Noble | iBooks Add REVELATION to your TBR pile on Goodreads! Excerpt: Why do you care? “Cold?” A deep, cocky voice greets me. I look up to see Asher leaning against a black Aston Martin DB9, my dream car. Damn if he isn’t looking every bit as delicious as he normally does. I really need to get my head examined. My lips form a tight line. “Why do you care?” It comes out harsher than I meant it too. Why does this guy get under my skin? The unnerving guy holds his stance, his scrutiny still focused on me. I try to ignore the burning sensation his gaze causes as it settles into my skin. I’m definitely not cold anymore. Asher breaks the awkward silence after a few moments. “Do I make you anxious, Eve?” “No.” I shiver but for a different reason now. My name sounds like a prayer on his lips. Nodding his head in understanding, he prowls over to me like a predator who has its prey in their trap. “You sure?” he whispers. Holding my position, I lift my chin and attempt to show him he doesn’t affect me. “Yes.” Asher stops in front of me, bends down and forces me to look him in the eye. My eyelids flutter just the tiniest bit at his body’s nearness to mine. Damn traitorous body. The corners of his mouth lift smugly as he moves closer. So close I can feel his minty warm breath on my lips. Chuckling quietly, he takes off his jacket and my heart begins doing back flips. His shoulders are really broad. Slowly, he leans forward, wrapping his leather coat over my shoulders, engulfing me with warmth and his intoxicating scent. An Interview With The Revelation Cast: Eve, Asher, and Gage! In my opinion, it’s always fun to get to know your favorite book characters on a more personal level. Recently, I sat down with some of my main characters from Revelation over coffee, while getting to know Eve, Asher and Gage better. Hope you enjoy it! Q: Give me one word that sums up your Revelation character? with Gage. Can you talk about that dynamic? Q: Asher can you describe Eve for me? Series, we’ll get to know more. Is there anything you can tell us about your character that we have not learned yet in Revelation? eyes. What is the one thing you hope the reader takes away from it? It’s the beginning of summer vacation, and everyone at Selkie Stewart’s Boston high school is excited. Except for Selkie, who sees herself standing at the edge of an abyss of Nothing To Do. Selkie doesn’t want to spend her summer scouring the kitchen for gnomes with her crazy aunts or mooning over the enigmatic boy on Boston Common. So instead Selkie goes in search of a job. What she finds is a new best friend, a cute boy who might be more than he seems, and even more question about her mother and her past — and a sense that Selkie’s adventures are just beginning. Let me say that I have read The Girl Who Never Was and I LOVED it. It was FANTASTIC! 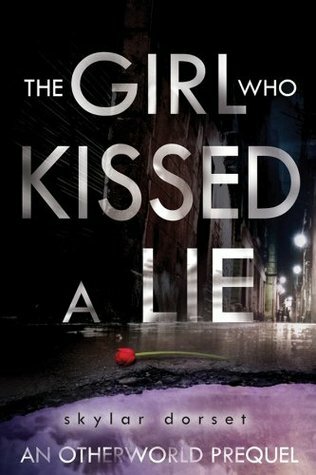 Now as for this prequel, it fell a little flat for me but please, please, if you have not yet read The Girl Who Never Was, please don’t let this novella discourage you away from it because it is absolutely ENCHANTING and if your a y/a, paranormal/fantasy fan it is a book you will not want to miss! In the early twentieth century, two little girls caused a massive media event when they claimed to have taken photographs of faeries near the brook in their backyard in Cottingley, England. The photographs caught the imagination of the country, and celebrities like Sir Arthur Conan Doyle, the author of Sherlock Holmes, descended upon the area, hoping to spy faeries themselves. Eventually, the little girls admitted it had all been a hoax, and that they had set up the photographs using paper cutouts of faeries from a catalog. Good thing, too, because all the attention was really cramping the style of the faeries who liked to pop over to Cottingley for a visit. Do you think there is any truth in the legends? What mythological creatures do you think might be hiding out there? Unicorns? Bigfoot? The Loch Ness Monster? The Girl Who Never Was by Skylar Dorset Book Trailer Reveal & More! Hi Everyone, Today I’ve got some really cool stuff to share with you. Some background info on the Unseelie Court and Wizards. I am also sharing a link for the first 5 chapters of The Girl Who Never Was as well as the book trailer reveal!! In Scottish folklore, the Unseelie Court was the “evil” court set up in opposition to the Seelie Court. I really liked the idea of there being no such clear dichotomy any longer: Both courts had become corrupted and dangerous to the Otherworld. Because the Seelie Court was traditionally considered the court of light, I placed it in bright sunlight. By contrast, the Unseelie Court was traditionally considered the court of darkness, so I placed it underground, accessible to our world by going below. This is not to imply that the Seelie Court is accessible by going above, but I wanted to keep the dichotomy between the two. In my head, they almost exist on the same sheet of paper, but one is on top and one is on the bottom. The Seelie Court rules the Otherworld and its tendrils are everywhere. I wanted the Unseelie Court to be its own little fiefdom within that kingdom, tolerated by the Seelie Court only because the Unseelies had assembled enough power of their own to resist them. The Unseelies do not mind being creatures of the darkness, and they are happy to stay in their self-contained world. Their border control measures are intense, and they seldom interact with the rest of the Otherworld. The Seelie Court would tell you this is because they do not wish the Unseelies to have access to the Otherworld, but the Unseelie Court has no desire to branch out into the rest of the Otherworld. They have no interest in political power, they only seek to be left alone to their dark magic. The Unseelies will grant asylum on occasion to those who need it. Because it is the only independent place in the Otherworld, it is the only place to hide from Seelies. Also, because it is so inaccessible, all sorts of amazing legends have grown up about it in the Otherworld. Otherworld creatures are taught that everyone and everything could be living in the Unseelie Court, every terrifying creature that could be imagined, because none of the Otherworld creatures really know what happens there. In the days when the borders between the Thisworld and the Otherworld were open, wizards (the female counterparts were known as witches) were quite common and it was considered a well-respected calling. It was favored, in the beginning, by families that already had great wealth, because there was little money to be made off of it. Magic, however, was a dangerous thing to practice, exhausting and potentially deadly if abused, so it was mostly favored for second sons as an alternative to the clergy. Witches and wizards attended universities of magic in order to learn their craft. Each developed talents for a particular type of magic that acted as their specialty. They tended to be naturally self-confident and arrogant, as belief and intent were two necessary ingredients to magic, which resulted in many clashes and feuds. Every witch and wizard consider themselves to be the best, and every other witch and wizard to be a pretender to their throne. Magical alliances were frequently fraught with tensions between overbearing personalities, and, as such, wizards and witches tended to be loners when it came to each other, even if some did develop friendships outside of the field. (William Blaxton had a reputation for being an especially gregarious wizard when it came to interspecies relationships, which was how he ended up forging the New World path.) When magic began to fall out of favor in the onslaught of science, it began to be seen as a haven for eccentrics. Most of the last of the wizards and witches were adventurous souls, drawn to the unpredictability of the practice of magic, and many of them ended up in the New World, which they thought at the time might be more accepting of the idea of the continued existence of everyday magic. Will Blaxton settled Boston. His fellow wizard Roger Williams settled Rhode Island, slightly farther south, together with help from their fellow witch Anne Hutchinson. Meanwhile, another wizard, self-styled Lord Timothy Dexter, settled north of Boston in Newburyport. In the early days, the witches and wizards thrived and were well-respected members of the community, but eventually they began to clash more and more with the humans who arrived and who were not interested in continuing on the practice of magic. Most of the witches and wizards went underground and rewrote the history books to take the power of their magic out of the words. The Salem Witch Trials were an effort to ferret out all of the remaining magic in the New World, but it was sadly entirely ineffective and managed merely to kill a great many innocent people, as the witches and wizards had already gone into hiding by that time. Also an otherworld prequel, The Girl Who Kissed A Lie is available for free download on Amazon and Barnes & Noble.